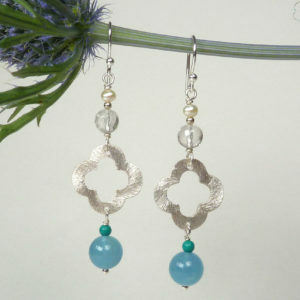 Dangly turquoise and lapis earrings with a Bohemian feel to compliment floaty Summer dresses. 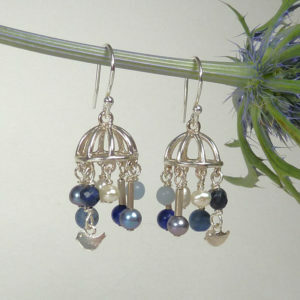 Lapis lazuli and turquoise earrings that are completely unique as I only had a limited number of these carved beads. 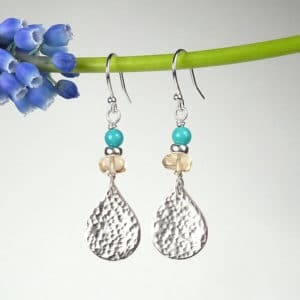 Please note that the earrings are not a perfect match as the stones are all unique. Length from top of hook: 63mm. Fittings: sterling silver.